Did you have a nice valentine's day? While I'm madly in love with my husband (yes, even after 12 years together, knock on wood) we've never really been into this holiday. 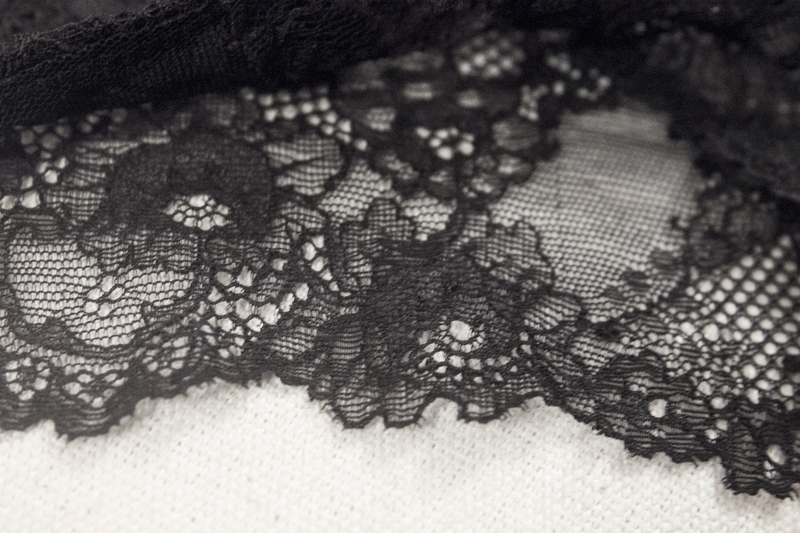 Still, I'm not above an extra little dose of black lace, and any excuse is a good one. I picked up these little gems at Oysho the other day (yes, I know I keep talking about it, I just love it, what can I say?). I love the generous wide lace straps of the bralette and the high waist of the undies. Basic romantic staples, but slightly different. 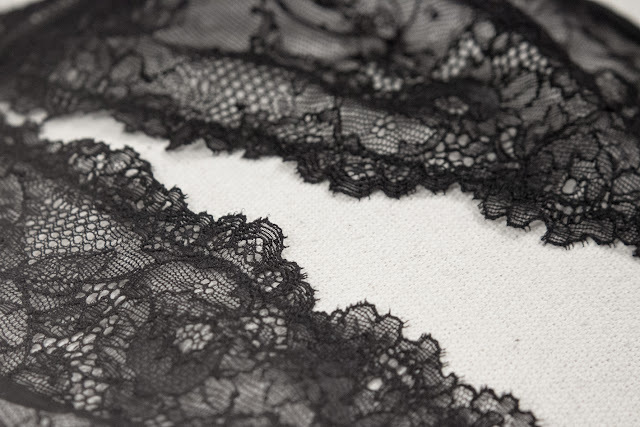 Labels: close-up, family, holidays, lingerie, Madrid, Oysho, photos by d.
Ooh, I love lingerie with a vintage look to it! So dainty and pretty! Somehow feels extra special when there's a little bit of a twist to it, doesn't it? Beautiful. God how I love black lace underthings. So. Much. Especially high-waisted. These are gorgeous. I actually have similar bras from Calvin Klein. One in a kind of tangerine shade - sounds terrible - but quite nice actually against my skin tone and another in khaki. I love bras like this in the summer when you get a hint of lace showing when you wear a scoop neck or boat neck tee. Also if you have little cami tops with shoestring straps, even wearing this kind of bra with them gives it a kind of twist and becomes part of the detail. Off to Oysho!